We must all see ourselves as part of this Earth, not as an enemy from the outside who tries to impose his will on it. 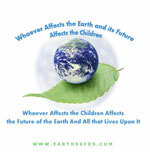 Welcome to the Earth's Kids Environmental Activism page! This is the place to learn more about our environment and it's various habitats. This is also where you can learn how to take action to make the world a better place for all the creatures we share this Earth with! When the first astronauts traveled out into space they were struck by an amazing vision: planet Earth, sitting like a blue and green jewel in the blackness of space. An extraordinary place of life, and the only planet we know of that definitely has life, and in such abundance. And the more scientists learn about life on Earth, the more they realize that Earth is wrapped in a delicate web of environmental systems that connect, each to the other. Food webs, climate cycles, ocean currents, animal migrations, carbon/oxygen exchange and so on. We are now aware that changes in any one of these systems can have a huge impact. Similarly, other changes underway, such as human beings cutting down forests to harvest wood and clear new farmland destroys wild animal habitats, and in many cases the animals themselves. It even drives many native peoples from the land. 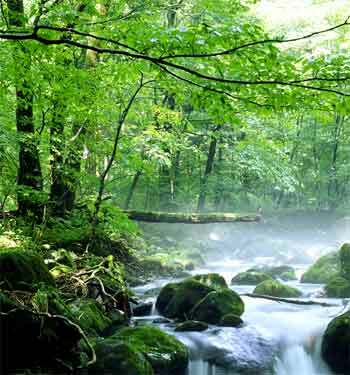 It often creates top soil erosion and destroys the forest watershed that provides clean drinking water to cities downstream. And it slows the exchange of carbon dioxide into oxygen. Which in turn causes global temperatures to rise. Too much carbon dioxide leads to temperature changes... which leads to krill die offs in the ocean.. which leads to the decline of fish populations that feed on krill...which leads to the ocean birds and mammals (penguins, whales, seals, etc.) that feed on fish struggling for food -- competing even more with human beings who are also finding the supply of fish dropping to dangerous lows. So low that not enough baby fish will be born and grow to maturity to supply the creatures that depend on them. Scientists worry too that if all these systems get too off balance, nature may not be able to set things right again -- ever. Hopefully that wouldn't be the case. Certainly planet Earth has been through some pretty major changes over the millenniums and although many species of creatures have become extinct, life on Earth has continued on, in some form or another. And new species always develop and multiply. So far at least. But as scientists look to some of the other worlds in our solar system, including moons of some of the larger planets, they wonder: did life thrive there once upon a time... until some terrible change or error happened that threw the delicate balance too far off? Could this happen to our own planet? Could we make this happen through careless harm to nature? Even if changes that catastrophic could not happen-- that is, even if we could trust Earth to always find her balance again -- we know now that big enough changes are underway on our planet right now that we humans have to change our ways of doing things,,, if we don't want to be one of those species that goes extinct. Or, at the very least, if we want to cope effectively with the changes in weather patterns, crop growth, rainfall, pollution levels, global warming, and the depletion of our fisheries. So that we have enough food and water, clean air to breathe, and safe places to live. But if it all seems overwhelming, consider this: right now we have more technological know how than we have ever had before. And we have more ability for scientists, inventors, activists, and world leaders to communicate with one another, all over the world, than ever before. We are able to spread the word about problems, share ideas, work together, pressure our leaders for change more effectively than any other generation in history. Yes, the problem is big. But the group we have assembled to work on it is big too. And guess what? YOU are part of that group. You, your friends and family, even your teachers and kids at school. So do your part. Learn. Spread the word. Email your government leaders. Share your ideas and your concerns. Together we can make it happen. One step at a time. Take Action To Help the Environment! Learn more about fish, whales, coral reefs, seals, dolphins and other creatures - and what you can do to help preserve our fisheries and keep our oceans healthy. What's going on with Climate Change, and what we can all do. Learn more about this critical environmental issue. Contains a summary, recent news, common myths and how to debunk them, useful articles, plus links for teachers, kids, and anyone else willing to learn more. Find out how to email the President! Kids Can Help the Animals! Take action for the animals, learn how! 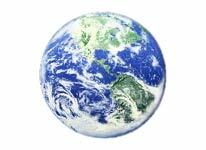 Lots of ideas for simple and easy ways to make a more positive impact on the Earth! Will human beings and many other species on Earth go the way of the dinosaurs (that is, become extinct)? Not if we make some necessary changes! Find out what you can do to help! There's plenty you can do to help right in your own community! Use the Power of Information Technology. Learn what you can do to spread the word about critical problems -- and their solutions! This is the place to get the straight skinny on just what qualifies an animal to be on the endangered species list, which animals are already on the list, and what is being done to help them. Great source for news about the challenges and progress going on in the Fish & Wildlife Service. Be sure to check out their information for kids and for teachers. The quickest way to take action for the environment. This site features news in the world of wildlife conservation and environmental issues, and highlights specific actions you can take -- right now -- to help with wetlands preservation, ending government funded harm to the environment, and urging government to take positive action on behalf of wildlife. Be sure to check out their cool stuff for kids including their excellent action tips. (Be sure to check out Garden for Wildlife. Another top level site with news about events going on around the globe that impact the future of our natural world. It also features great information on how you can help -- through campaigns, wise shopping, donations, and educating others. And if you needed one more reason to visit their site, their url is wwf.panda.org! The Green Squad teaches kids about the relationship between their schools and environmental and health issues. The site is designed primarily for students in fifth through eighth grade, but also offers information for younger and older students as well as parents and teachers. The Kids For A Clean Environment homepage. Learn all about this take-action environmental group that was started by a 9 year old girl.... and now numbers more than 300,000 members! Fill out the on-line membership application and receive information about what YOU can do. While your there, you can read the latest Kids F.A.C.E. News. The mission of this program is "to foster respect and compassion for all living things, to promote understanding of all cultures and beliefs and to inspire each individual to take action to make the world a better place for the environment, animals and the human community. All Roots & Shoots members, from pre-K to university, demonstrate their care and concern for living things through service projects in their communities." For more information about how you can get involved, visit their web page, read up on what Roots & Shoots are doing in your area or how you can help start a local chapter yourself. There are also ideas for things that you can do all on your own such as to grown native plants, build bird houses, and pick up trash. 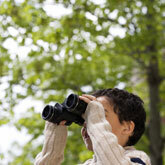 Part of KidsPlanet.Org, this page has great ideas for helping wildlife! Learn about writing letters, fundraising and more! From Defenders of Wildlife. Be sure to visit their Wild Life Action Center for important news and current actions and campaigns! Through Heifer International you can actually help people around the world stop and even reverse deforestation by donating money for HI to give them trees and seedlings. Find out how one caring, determined kid decided to stop the destruction of trees caused by Los Angeles pollution. The organization he began, now called Tree People, has planted over 2 million tree in Southern California. Find out how you can help! A great online illustrated story for kids. Read one page at a time -- remember to click the "Next" at the top of each page to read the next story. Baleen whales, leopard seals, penguins, phytoplankton -- see how it all fits together. Take a look at the energy pyramid. See how food chains work in different biomes. Plus... create your own food web! Play the food chain game! Learn about bioaccumulation. A fun activity to help kids see the connections that make up an ocean food web. In any ecosystem, there are many different life forms that depend on each other. For example, in a forest, the deer and the rabbits eat the grasses and other plants (which depend on water, sunlight, good soil). Wolves or other large predators prey upon the deer and rabbits. And scavenger animals and certain insects feed upon the remains. Meanwhile the plants depend on the predators to keep the number of plant eating animals from growing too large (and thereby eating up the plant material faster than it can grow and replace itself). The droppings (poop) of both predators and plant eaters nourish the soil on which the plants depend. And the urine of of these animals is a source of important nutrients for certain insects, such as butterflies. When we disrupt an ecosystem (forest, pond, grasslands, desert, ocean, etc. ), we disrupt the food webs that various creatures depend on to live. Pollution, habitat destruction (cutting down trees, building houses, etc. ), and over-fishing are all examples of actions that disrupt ecosystems and food webs. 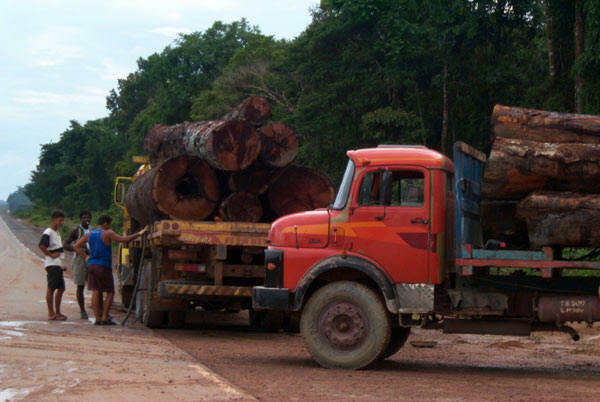 The results of such disruption can be extinction -- amazing plants and animals disappear. When they go, they take part of the wonder and majesty of our world with them. The complexity and beauty of Earth is diminished. We have no way of knowing how much diversity can be eliminated (how many kinds of creatures can be destroyed) before the living world is in danger of disappearing forever. But scientists do know that there have been times when great changes have occurred upon the Earth that have led to the destruction of vast numbers of species. The end of the Age of Dinosaurs was only one example of this cataclysmic destruction! There have actually been many others! So we must wonder, if there had not been any tiny shrew like creatures at the end of the Dinosaur Age, what would the Earth be like today? This is an important question because scientists also tell us that it was from these small creatures that all the mammals alive on Earth today evolved -- including human beings! What would the world be like today, if these small creatures had already gone extinct -- before the dinosaurs died out? What small creatures exist today, that could some day change the entire future of life on Earth? To read more about food webs, check out this incredible.. Always remember that deciding what to eat is a very personal matter -- one that you should talk over with your family and your family's doctor. This is because taking care of your body is a very important responsibility -- one you will have for the rest of your life! But there is another body that supports us all as we go through life, and that is the Earth herself. Because we want the Earth to be in good health, able to support us, it's important to think about how what we eat affects the environment of the Earth. Currently, most of us with access to a computer also have access to a lot of meat. If you study food webs or food chains, you already know that eating meat is eating high on the food web energy system. In short, each animal we eat must itself eat a LOT of plant food to create and maintain the flesh that we eat as burgers, meat balls, hot dogs, lunch meat, and etc. You might be surprised to learn that, on modern factory farms, these "food" animals are actually being fed (plant) food that could be fed to humans. Lots of grain like corn and wheat as well as legumes (like soy beans) are fed to cows, pigs, and chickens. This is food that could have fed human beings -- a lot of them! In fact, a lot more human beings could be well fed if we just fed the grain and legumes to humans -- instead of first feeding it to animals and then eating the animals. This is because each animal burns up a lot of the food energy in the grain and legumes (to fuel it's movement, breathing, and other life processes) before turning some of it into the meat that gets eaten. In addition most people in the world can't even afford to buy this meat. Meat simply costs more money than plant food. This is because it costs a lot of money to feed, house, and care for the animal for the year or two before it is "harvested" for food. All this expense, plus the farmer or rancher's own need to earn a living, adds up to a big price tag. A price tag that many poor people, especially in third world countries, cannot afford. Unfortunately, when a lot of plant food that could be eaten by humans is fed to animals, that plant food becomes more scarce and more valuable, and therefore more expensive! This means that plant food too becomes harder to afford. Which translates into hungry people. Now don't worry, no one's suggesting we starve the animals! Naturally we must continue to feed those animals we already have. However, if we could stop raising more and more animals every year -- and feeding more and more of the grain and legumes to them -- and instead feed the tons of extra corn, soy beans, and other foods to human beings. We wouldn't even have to stop eating meat all together -- just cut back. This way, the plant food that the Earth can provide will go farther and be more easily capable of feeding all the children of the world. This means that poor children, in the U.S. and in other lands, will never face a time when there is not enough grain or beans to go around. 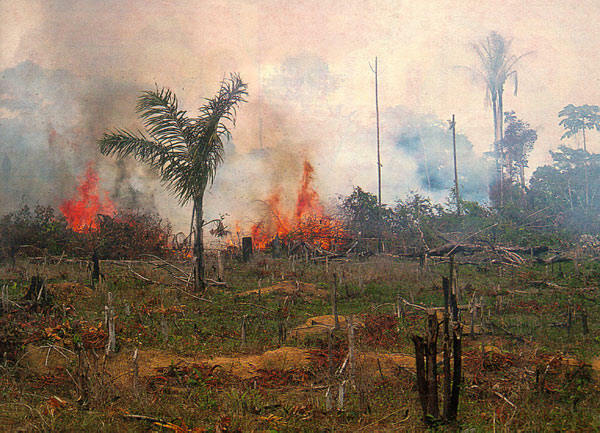 What's more, it means that right now people could stop burning down the rainforest to create new pastures to raise more and more herds of cattle (to provide more and more hamburgers and pot roasts). And leave the habitat intact for those animals who already live there. Furthermore, if we did not need to grown so much extra food each year, to feed to growing numbers of farm animals, it would save our soil. Soil can actually get used up -- or more exactly, the minerals and other nutrients that plants depend on can get used up. This makes it so that plants do not grow, or if they do grow, they don't produce very large fruits, vegetables, or grain seeds. For this reason, many farmers feel they have to use chemicals in order to get their plants to grow and to produce a big harvest. This would be fine except many of these chemical fertilizers produce harmful waste products. Less of our existing farm land will become depleted due to over-use, making it able to continue being used for many generations to come. Fewer harmful waste products (from fertilizers used on depleted land) will be seeping into our ground and water, poisoning wild life and people. Less natural habitat must be destroyed to create new farm land. Fewer wild animals will become extinct due to habitat destruction. Nutritious plant food will be more available for human consumption, making it easier for the world's poor and starving to be fed. By having more of our meals plant-food-based, rather than meat-based, each of us can do our part to limit damage to our farmlands, halt the destruction of natural habitats and the extinction of wildlife species, and to defuse food scarcity issues that help fuel world hunger. Just by changing what we eat for dinner, we can have a profound impact on the environment. Thank you for taking the time to read this article! We hope you'll think over what's been said here, gather more information, and talk it over with people you know. Remember that each of us has the responsibility to educate ourselves and to use our best judgment. This applies not only to saving the environment however, but to taking care of our own bodies. Please do not make a change to your diet (such as reducing or eliminating meat consumption) without first learning how to get all the protein and nutrients you need from plant food sources! Dinosaurs -- Great info, links, books, and educational toys about these favorite prehistoric creatures. E.K. 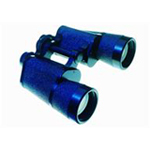 Science -- Lots of links, books, and equipment to help kids learn astronomy, physics, chemistry, and more. Your Body -- Learn how your body works, and how to keep it healthy! Grow A Garden -- Learn important principles in Earth Science by preparing the soil, sprouting seeds, growing plants to bloom or fruition, and coping with pests. Science News -- Today's top science headlines and news, plus online science magazines.